Designed for the couple that would like assistance from start to finish. 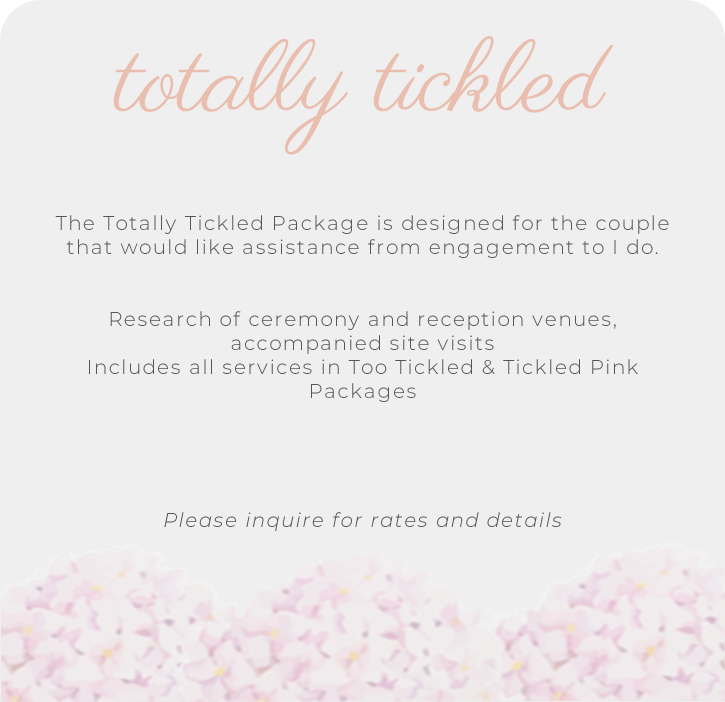 Everything from identifying venues, to assembling and mailing out the invitations, let us take on your wedding day! Designed for the couple that has already booked their ceremony and reception venues and need some assistance in between. We will help you book all other vendors and keep you on track! 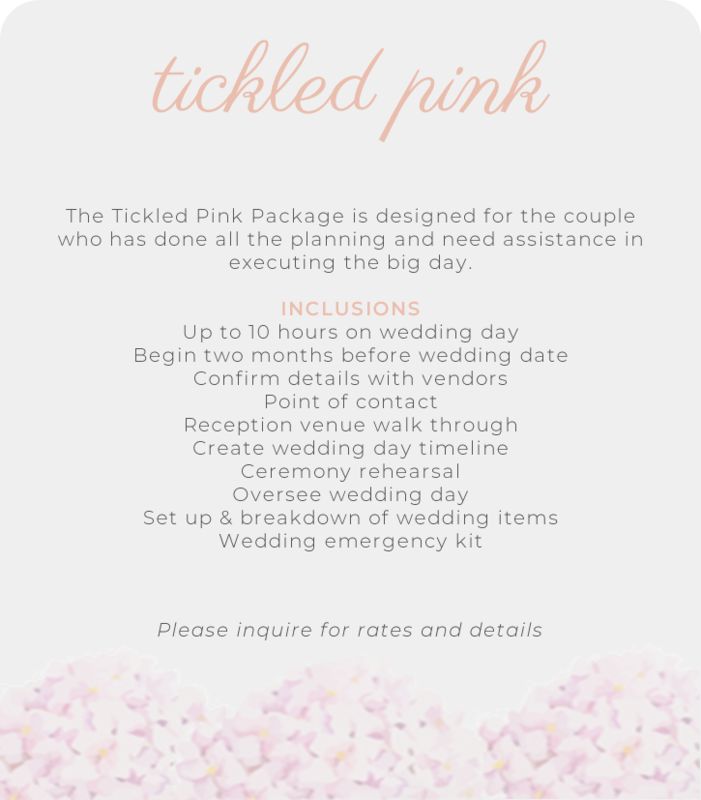 Designed for the couple who has done all of the planning and just need someone to execute, be the point of contact and make sure everything runs smoothly on the big day!